27 Caves in India That are a Must Visit for a History Buff! Situated in the Jalgaon city of Maharashtra, the Ajanta and Ellora caves are one of the most well-known caves in India. 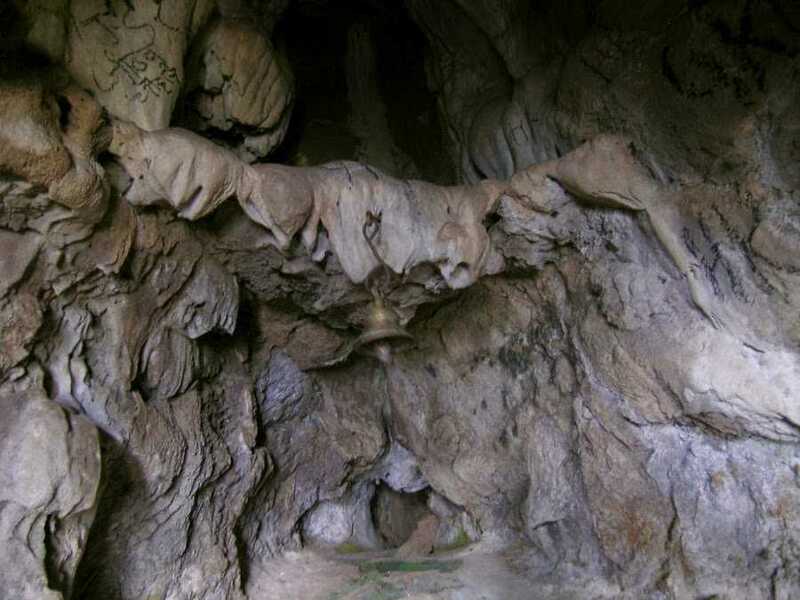 The rock-cut caves contain ancient religious paintings and sculptures. 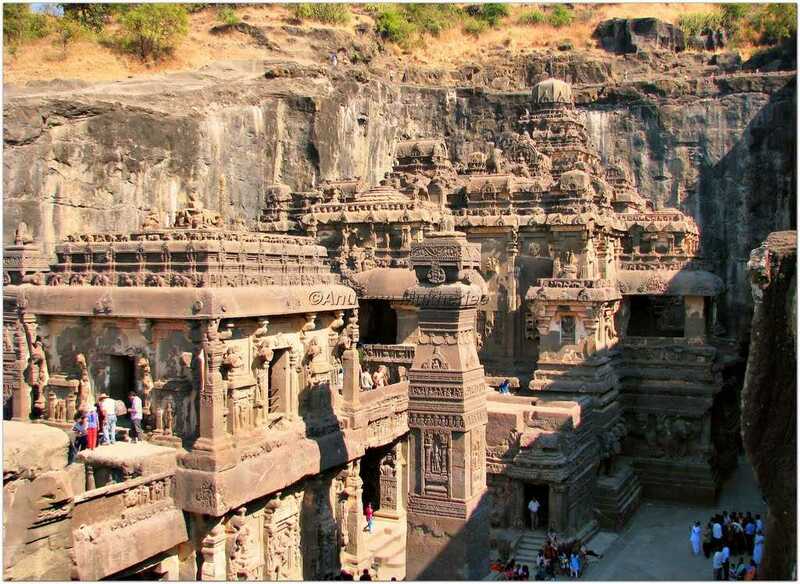 There are 34 caves at Ellora that date back to the 6th and 11th centuries AD and there are 29 caves at Ajanta that date back to the 2nd century BC and 6th century AD. The caves at the Ajanta are dedicated to Buddhism while the caves at Ellora display a mix of Buddhism, Hinduism and Jainism. Bhimbetka Caves are situated inside Ratapani Wildlife Sanctuary in Madhya Pradesh. Recognized as a world heritage site, these caves display the earliest artworks of mankind. It is believed to be the shelter of Pandavas during the time of their exile making it one of the important caves in India. Located on the bank of Baghani river at the Vindhyachal ranges in Madhya Pradesh, Bagh Caves are a set of nine rock-cut structures. The caves are well sought after for their ancient paintings and thus are also called as Rang Mahal. These rock cut caves are the finest example of ancient Indian art. It is believed that these caves were built by Buddhist monk Dataka in late 4th century - 6th century AD. 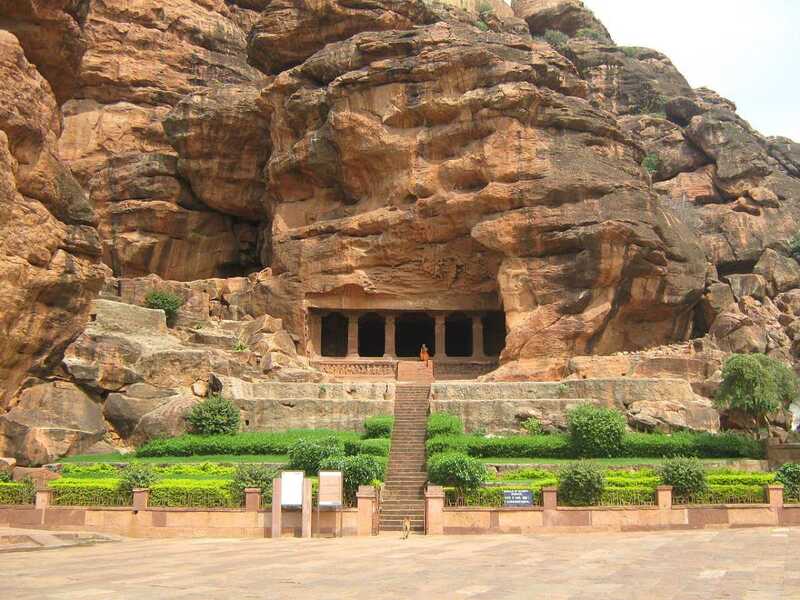 Located in Karnataka, the Badami caves comprise of four caves out which two are dedicated to Lord Vishnu, one to Lord Shiva and another one to Jains. Made of red sandstone on the precipice of a hill, Badami Caves are one of the most exemplary examples of Indian rock-cut architecture. The Indian caves date back to 6th century AD. 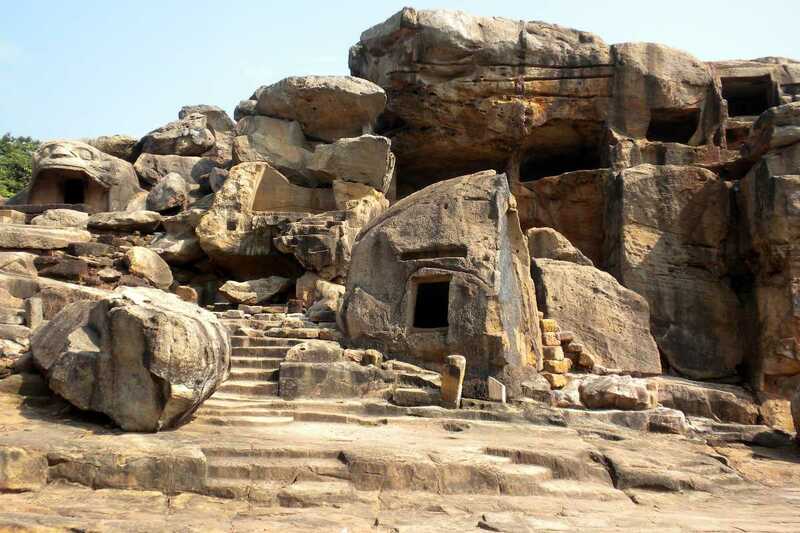 The ancient Udayagiri caves are situated near Bhubaneswar in the state of Odisha. 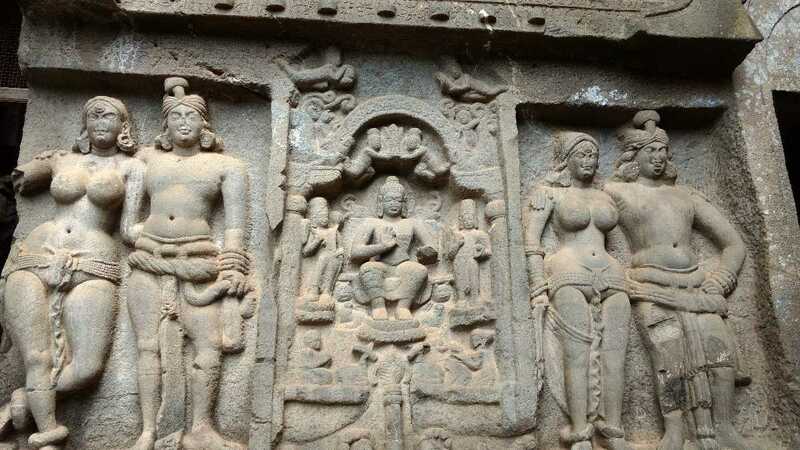 The Udayagiri caves are famous for 33 rock-cut chambers displaying Hindu and Jain sculptures and wall paintings. 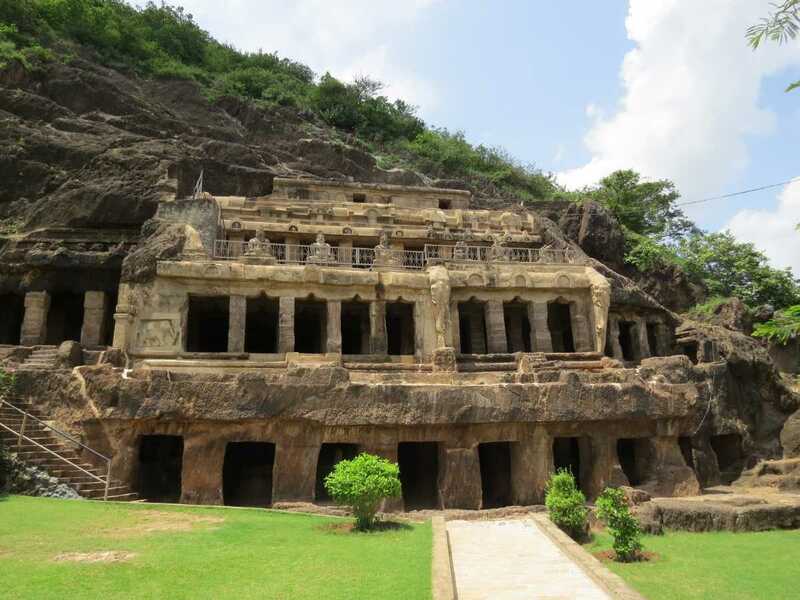 The history of these caves dates back to the Gupta Period around 350-550 CE, an era of foundation of Hindu religious ideas. The most famous structure at Udayagiri Cave is a 5 feet tall statue of Vishnu's Boar Avatar with the worshipful masses standing in homage by the sides. Located about 7 km from Mumbai on an island, Elephanta caves can only be reached by ferry. There are seven rock-cut caves there that have been finely carved and designed. Dating back to 6th century A.D, the primary attraction in the cave is the Mahesh-murti depicting Lord Shiva in three forms- the aghora, tatpurusha and vamadeva. The Amarnath cave is located in Jammu and Kashmir and is one of the most famous Hindu shrines. The shrine is dedicated to the God Shiva, claimed to be over 5,000 years old and forms an important part of ancient Hindu mythology. The cave is situated at an altitude of 3,888 meters and about 141 km from Srinagar, the capital of Jammu and Kashmir. The main Amarnath cave has an ice stalagmite that resembles the Shiva Linga which changes expands and contracts with the cycle of the Moon. According to Hindu mythology, this is the cave where Shiva explained the secret of life and eternity to his divine consort Parvati. In the Anatagiri Hills of the Araku valley in Visakhapatnam, stand the Borra Caves. The presence of a naturally formed Shiva Lingam here makes these caves venerable by the tribal people inhabiting the villages around the caves. Spread across an area of 1 square km, Borra Caves are full of stalagmite and stalactite formations. About 8 km from the city of Vijayawada in Andhra Pradesh, Undavalli Caves are situated on the banks of River Krishna. 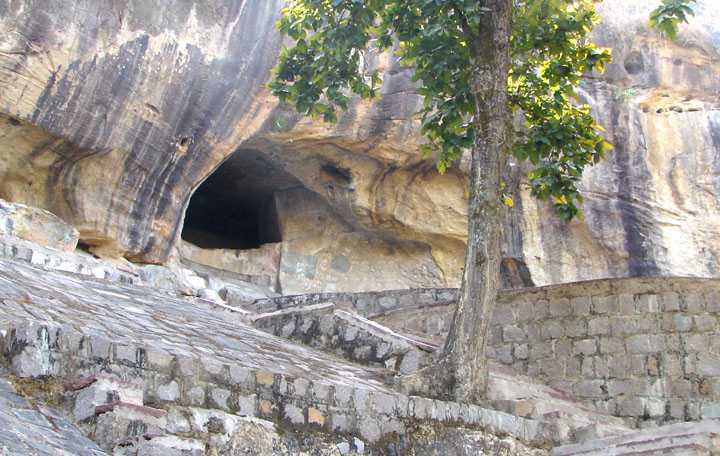 The caves are said to be built by the Vishnukundin Kings and in 7th century AD. The ancient caves are believed to be carved out of solid sandstone and are dedicated to Anantapadmanabha Swamy and Narasimha Swamy. Out of many cave structures found here, the best one has four stories having a giant statue of Lord Vishnu in reclining position. Named after an incarnation of Lord Vishnu- "Varaha", these caves serve as the temple to Lord Vishnu. The rock-cut cave temple is known for its glorious architecture and is listed as a UNESCO World Heritage site. 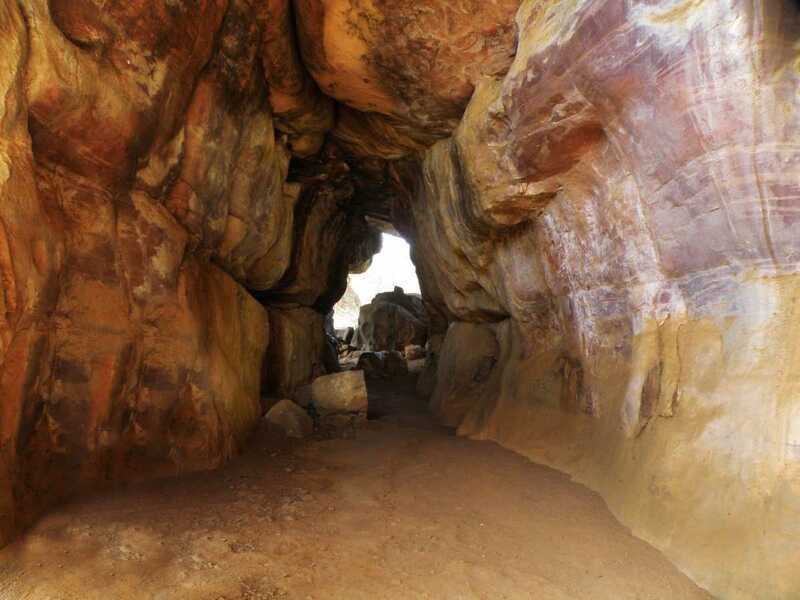 Varaha caves are located in Tamil Nadu. 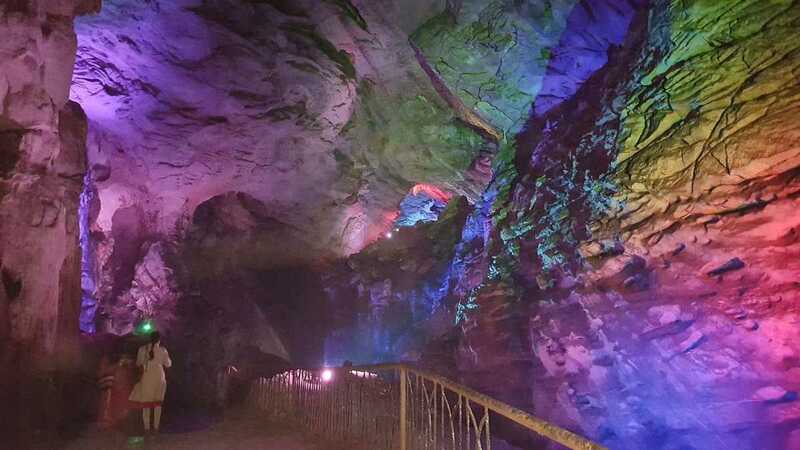 In Cherrapunjee, Meghalaya, Mawsmai Caves are natural limestone caves. Located near the beautiful Nohsngithiang falls, Mawsmai caves are popular among tourists visiting Meghalaya. The natural formations appear like large passages and chambers. Some caves have giant openings while in some tourists have to crawl through. 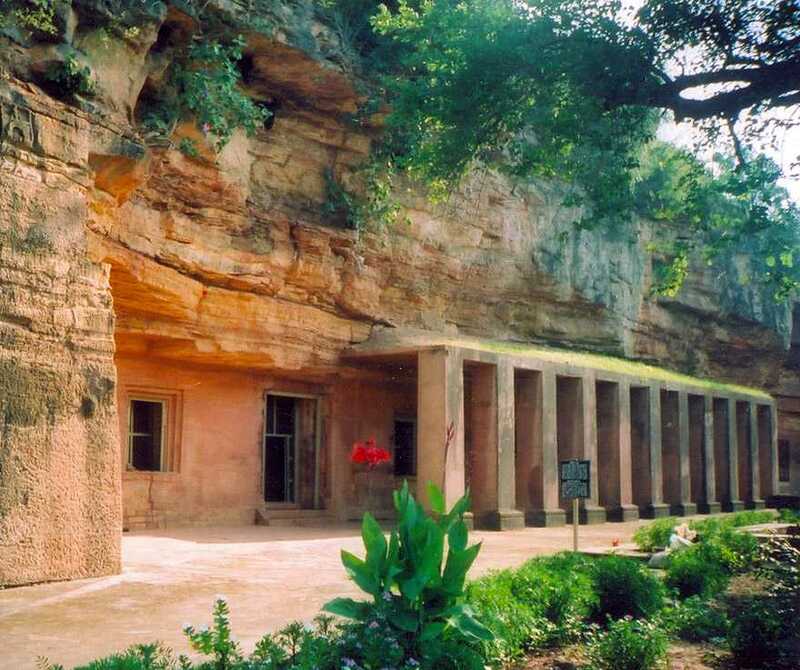 Jogimara Caves are situated in the dense forests of Chhattisgarh. The caves can be accessed through a natural tunnel known as Hathipol, the name pointing out that even elephants are able to pass through the tunnel. Legend has it that Rama, Sita, and Lakshman spent their days here during their exile. The caves are filled with ancient paintings and inscriptions. 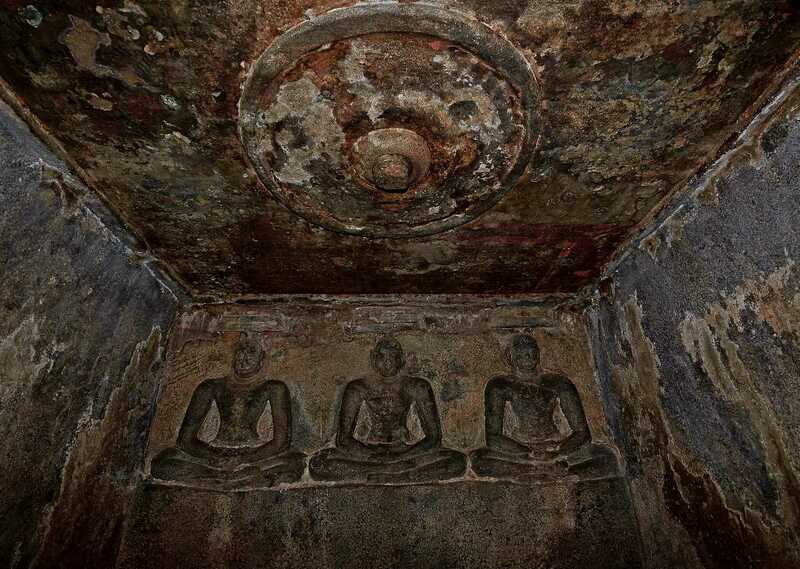 Dungeshwari caves are located at about 12 km from Bodhgaya in Bihar. 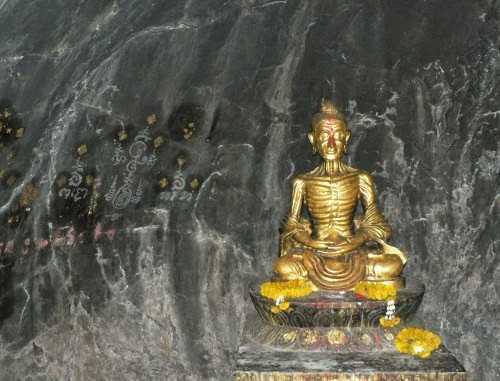 These caves are significant in Buddhism as it is believed that Buddha meditated here. 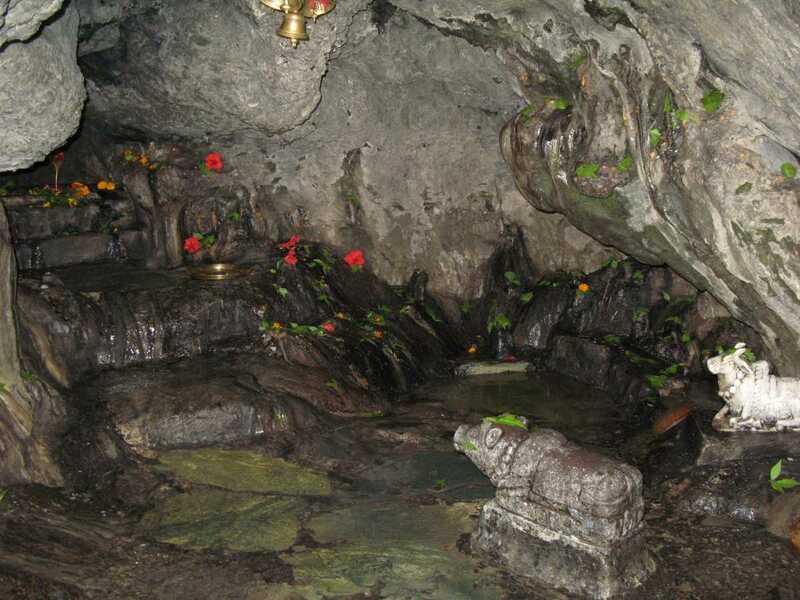 A golden statue of Buddha, another giant statue of Buddha and an idol of Hindu goddess Dungeshwari are present in inside the three caves of Dungeshwari. Near Tabo village in Himachal Pradesh, these caves are carved out of hills and are believed to have been the place of meditation for Buddhist monks. 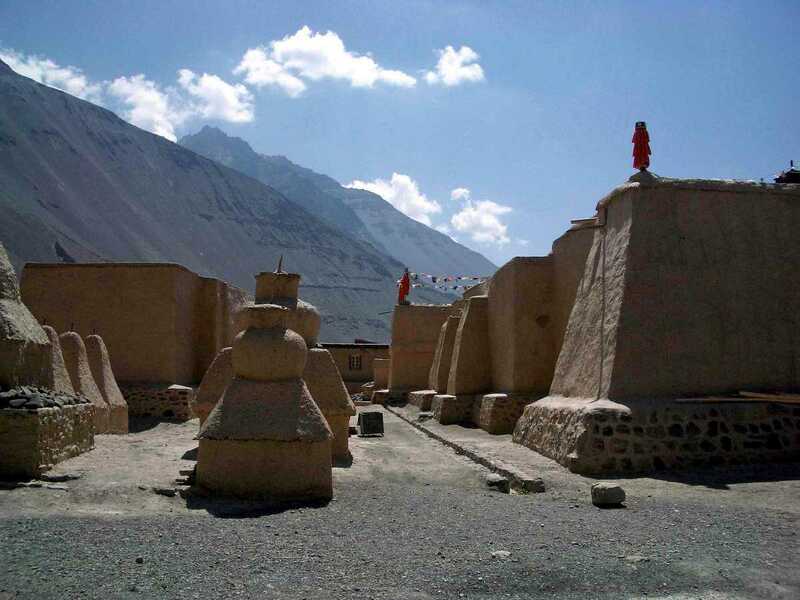 There are few big caves along with small caves which are dotted with colourful prayer flags. The Buddhist monks still use the caves for meditation during the months of winter. 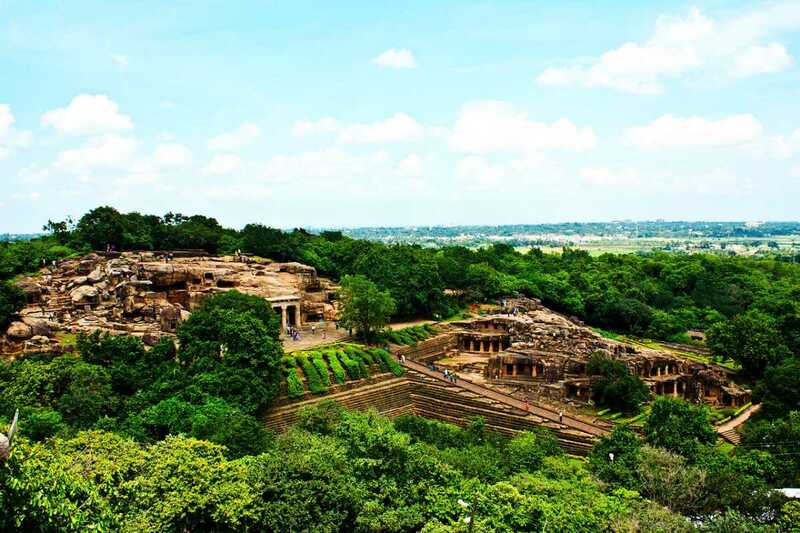 Nearby Bhubaneshwar is a group of 15 caves known as Khandagiri Caves. These are one of the earliest Jain rock-cut structures and are believed to be used by Jain monks during the rule of King Kharavela. The Ananta Cave is the most prominent one in Khandagiri and has figures of women, elephants and athletes carved on its walls. 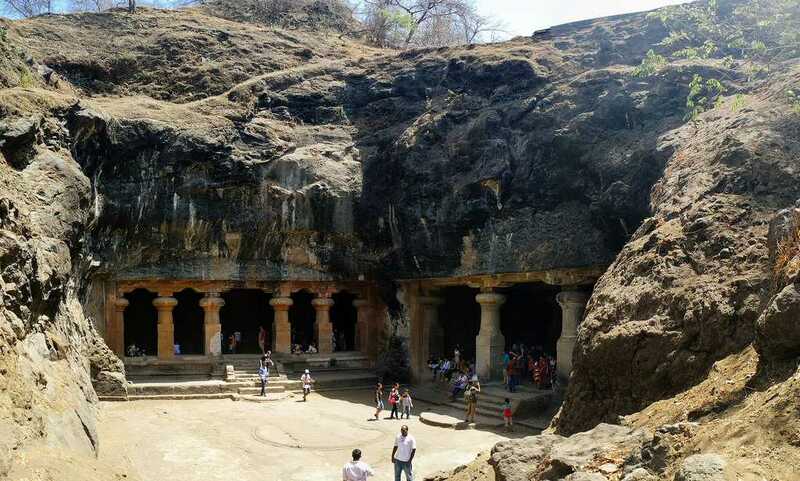 Similar to the caves of Ellora, Pataleshwar Caves are situated in Pune. Dating back to 8th century AD and dedicated to Lord Shiva, the caves are carved out of a single rock and are architecturally flawless. Sculptures of Ram, Sita and Laxman can be found here. Located near the famous hill station of Lonavala in Maharashtra, the Karla caves are among the most ancient Buddhist temples in India, dating back to 200 BC. The Karla Caves are also the largest Buddhist temples in India and are recognized for their rock-cut architecture which resembles wooden structure. Prominent features of the caves are arched entrances, vaulted interiors and an Ashokan Pillar at the front. 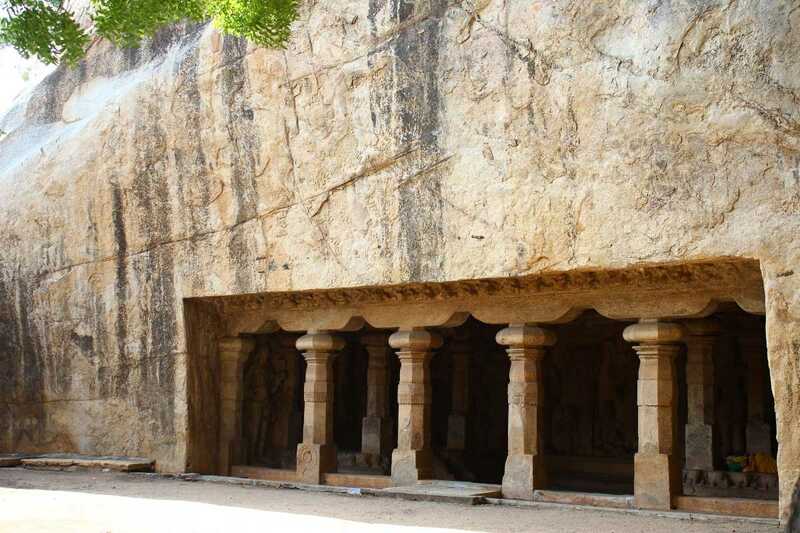 Situated inside the Tiruchirapalli Rock Fort complex, Trichi Caves are a set of two cave temples, known as the lower cave temple and the upper cave temple. Believed to be built by the Pallavas, Cholas and Nayaks of Madurai, these cave temples are dedicated to Shiva and Vishnu. 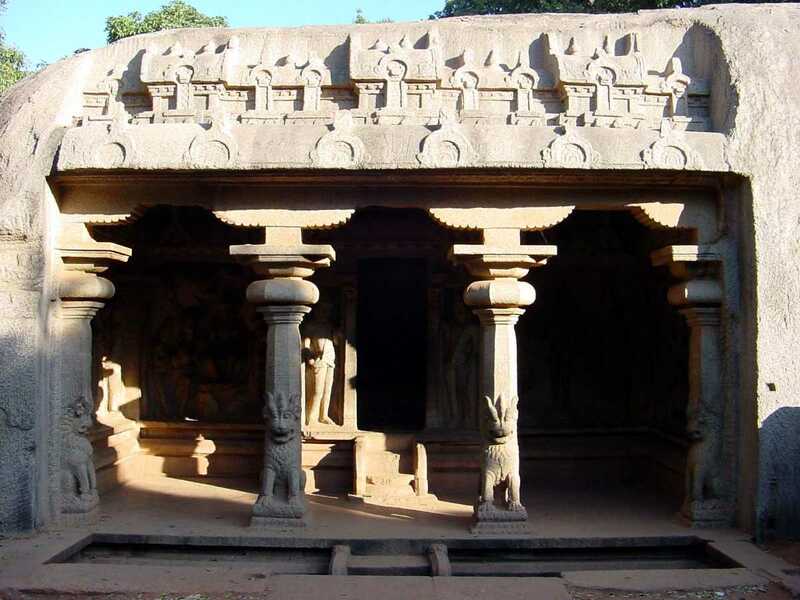 Located in the Sittanavasal village in Pudukottai district of Tamil Nadu, Sittanavasal caves are also known as Arivar Koli and date back to the 7th century. The caves are famous for their various paintings such as a pond with lotus flowers, people collecting lotuses from the pond, two dancing figures, lilies, fish, geese, buffaloes and elephants. Koteshwar caves hold great religious significance and are believed to be the meditation place for Lord Shiva. Located about 3 km from Rudraprayag in Uttarakhand, these caves are famous Hindu pilgrimage site. Present in Bhubaneswar village in Uttarakhand, Patal Bhubaneshwar Caves are believed to be founded by King Rituparna in Treta Yuga. According to Hindu mythology, there were four doors to enter the cave; Randwar, Paapdwar, Dharamdwar and Mokshadwar. Paapdwar got closed after the death of Ravana and Randwar got closed after the battle of Mahabharata. Only two entrances remain open now. Situated in the Jaintia Hills district of the State of Meghalaya, Tucked in the folds of the Shnongrim Ridge, Krem Liat Prah is the longest natural cave in India. It is one among the 150 caves known caves of the ridge and parts of it still remain unexplored. The cave has been estimated to be about 34 kilometres long and continues to extend with the ongoing surveys. 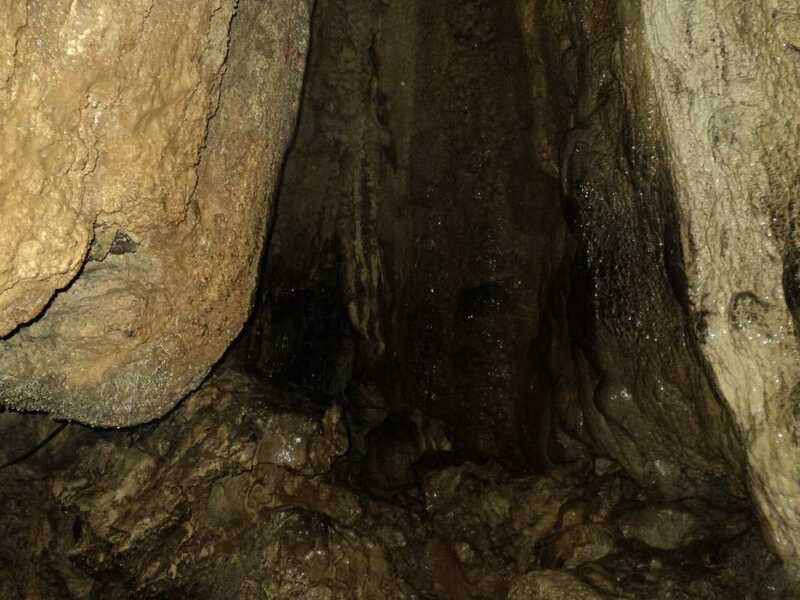 Krem Kotsati is a part of the Kotsati - Umlawan Cave system. Krem Kotsati has claimed to be the second longest cave system in India measuring about 21 Kms and has a total of 8 entrances. One of its entrances is through a deep pool which requires the explorers to swim to enter the cave. The Cave majorly consists of some virgin river passages. It is said that no part of the cave is more than one hour away from the nearest entrance. Barabar caves are the oldest surviving rock-cut caves in India. Dating back to the time of the Maurya Empire (322BC-185BC), These caves are located between the Barabar and Nagarjuni hills in Bela Ganj Block of Gaya district, Bihar. There a total of four caves in this collection named as Lomas Rishi Cave, Sudama Cave, Karan Chaupar and Visva Zopri. All the caves have such impressively sharp cuts that they can be compared with the laser cutting techniques of today. Another speciality of the caves is the echo that excites everyone. The second largest natural caves in the Indian subcontinent, Belum Caves have a length of 3229 meters and the deepest point at 120 feet below the entry level. Situated in the Belum Village of Kurnool District, Andhra Pradesh. This site is at a distance of 270 Kms from Bangalore. The Caves were formed due to the erosion of the limestone deposits by the Chitravati River and have long and spacious chambers, Siphons and Freshwater sources. The caves claim to have been occupied by Buddhist monks according to the relics discovered in the area which are now housed in the Museum at Anantapur. Kutumsar Caves are located in the Kanger Valley National Park of Bastar, Chattisgarh. The striking Stalagmites and Stalactites formed in the due course of time are the main attractions of the caves. The cave houses 5 naturally formed chambers and a couple of wells too. The cave is 1327 meters long and is dark as no sunlight enters the cave. Ironically it is a must-see for all those who love the wild side of nature. Nellitheertha, a 200-meter long cave is a religious temple cave which is formed naturally. The cave is located in the Dakshina Kannada district of Karnataka. There is a Shiva Lingam inside the cave along with a lake which is formed by water dripping into the cave. The droplets take the shape of a Gooseberry right before dropping down. ‘Nelli’ is a Kannada word that translates to Gooseberry and ‘Teertha’ means ‘holy water’. Hence the cave gets the name Nelliteertha. Caves have always allured historians, scientists, and tourists alike. It is mesmerizing to understand the architectural brilliance that man achieved in prehistoric times devoid of any modern technology. Many of the Indian caves are also recognized as a UNESCO world heritage site because of this very fact. Do not miss to pay these ancient caves a visit, next time you travel in their state.